– David Rudisha announcing his withdrawal from the 2017 London World Championships. 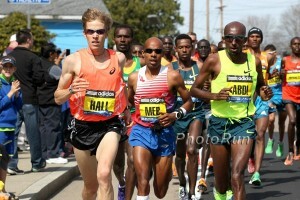 LRC Feature: 10 years ago, Alan Webb was the greatest miler on the planet. An inside look at Webb's magical summer. Who has quit running and started lifting weights? Results? How do you classify a hobbyjogger? 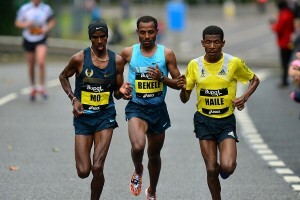 LRC $200,017 LRC Running Warehouse LetsRun.com Worlds Prediction Contest Is Here! The World Champs start Friday. It’s time to get down to business and enter our prediction contest. Easy to do even if you know very little about Worlds. LRC Women’s 1,500 Preview: Dibaba Vs. Hassan Vs. Kipyegon Will Be Epic; Can Jenny Simpson, Caster Semenya Or Home Favorite Laura Muir Medal? Of all the distance races at Worlds, this one is the most intriguing. Let’s dive into it. What an incredible field with the Olympic champ Faith Kipyegon, Genzebe Dibaba, Sifan Hassan, Caster Semenya, Laura Muir and Jenny Simpson. LRC Men’s 1,500 Preview: With Olympic Champs Asbel Kiprop & Matthew Centrowitz Struggling, Who Will Step Up? The last individual final of the 2017 IAAF Worlds is likely to be worth the wait. 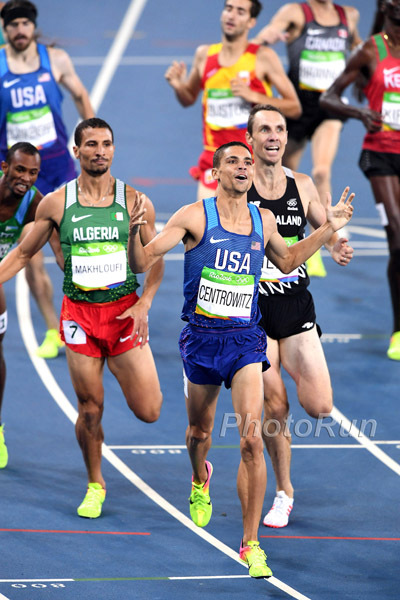 The Olympic champ Matthew Centrowitz hasn’t looked great this year, nor has the reigning 3-time World champ Asbel Kiprop. If they don’t win, who will? LRC Men’s 800: Can Emmanuel Korir Cap An Incredible Freshman Year With A World Title? LRC Women’s 800: Can Ajee Wilson Snap Caster Semenya’s Unbeaten Streak? Brenda Martinez Says The Greatest Challenge Of Her Career Has Been Peaking For The US Trials And A Major Championship Martinez talks about having to run six races over ten days at the 2016 Trials, but says she’s managed things better this year and thinks she will peak at the right time in London. DyeStat: Nine Americans To Watch At Worlds Fred Kerley in the 400 tops the list. 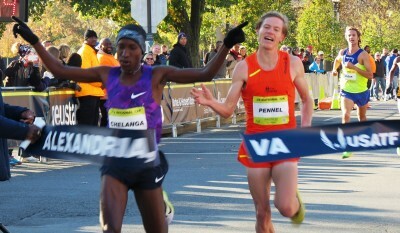 *Results Uganda men and USA women won the team competitions. Los Angeles Agrees To Host 2028 Olympics As Paris Gets 2024 (updated) The IOC is to make an official announcement later today. 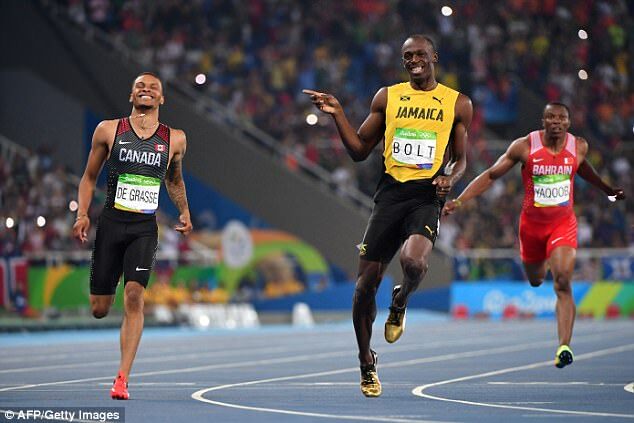 Good Read: Daily Mail: “Andre De Grasse Might Have Usain Bolt Running Scared At Worlds” De Grasse says he doesn’t have a “rivalry” with Bolt since he’s never beaten him, but he wants to change that at London 2017. Good Read #2: The Guardian: “Usain Bolt – Now You See Him, Soon You Wont …” A lengthy look at how Bolt has amazed and entertained us through his career. Former World & Olympic Champ Donovan Bailey Warns To Never Bet Against Bolt Bailey: “Anyone that bets against Bolt at a major championship isn’t smart.” Ato Boldon thinks if someone challenges him it will be Yohan Blake. What Is Usain Bolt’s Net Worth? Bolt is worth an estimated $34.2 million. Only $2.2 million comes from winnings as most ($32 million) comes from endorsements and sponsorship deals. David Rudisha Is “Excited” To Return To London Where He Mesmerized The World In 2012 The article gives little insight as to whether he’s in shape or not. Usain Bolt Isn’t The Only Legend Retiring In 2017 – So Is Brendan Foster The former WR holder is retiring from his broadcasting career after 37 years on the job. 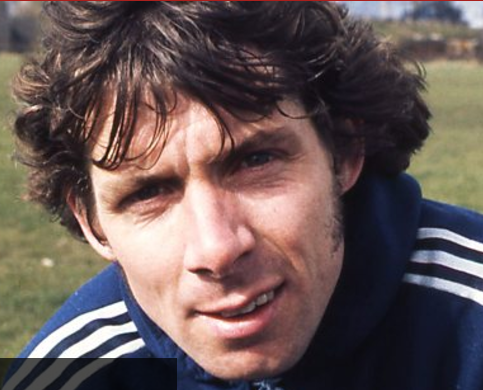 BBC Televised A 45-Minute Special – Brendan Foster: A Life In Athletics – On Saturday If you missed it, you can watch it here if you have a UK IP address. London 2017 Is Already 50% More Popular Than Any Other Worlds In History They’ve sold 660,000 tickets already and the previous best was 417,156. More tickets have just become available as explained here. 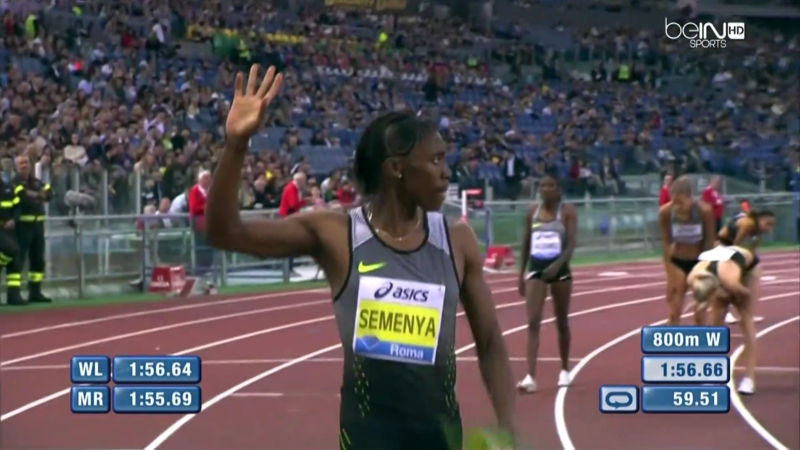 PBS: Should Testosterone Be Regulated In Women’s Events? A deeper look at the IAAF’s recent study shows why it probably won’t be enough to convince CAS to reinstate the currently suspended hyperandrogenism rules. Athletics Illustrated: “Caster Semenya’s Apparent Defiance; Could It Serve A Greater Purpose?” Chris Kelsall wonders if Semenya is “angry at the world or starting to enjoy drawing attention to herself” after she announces Worlds 800/1,500 double. 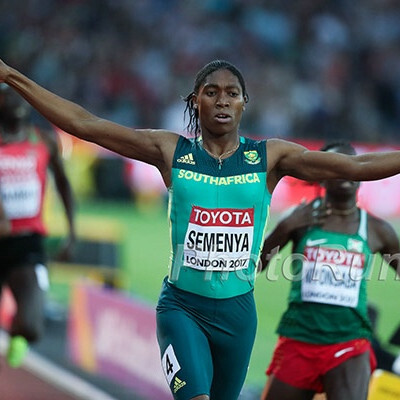 Outside Magazine: “The Controversy Around Caster Semenya Explained” The problem is CAS requirement is far too great as they want the IAAF to prove hyperandrogenic females have an advantage as great as men, which they don’t. GB Sprinter Adam Gemili Angry That He Was Forced To Run Through Injury At The British Trials Gemili claims selectors said he had to race if he wanted to go to Worlds, but he wasn’t ready as he was dealing with a hamstring injury. He will go in the 4 x 100, but not the 200m, his preferred event. Jessica Ennis-Hill Gives An Inside Look At “Super Saturday” From London 2012 The day started at 5AM after 5 hours sleep and ended at 2AM reading social media congratulatory messages. BBC: Six Athletes To Watch Out For From Team GB Mo Farah and Laura Muir are GB’s distance medal hopes. 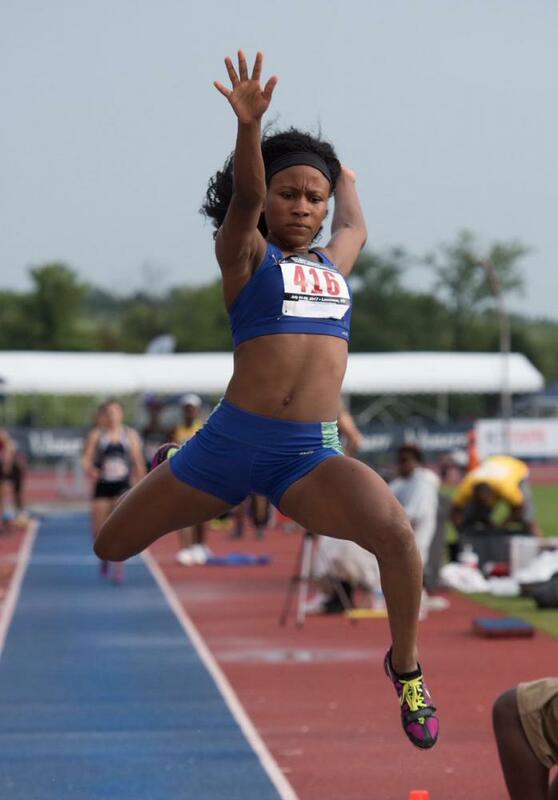 15-Year-Old French Long Jumper Heather Arneton Goes Pro With Under Armour Arneton has the under-15 LJ record at 6.57m. One For The High School Coaches: 15 Questions With Great Oak High School Coach Doug Soles Great Oak is 2nd in the pre-season boys and girls national XC polls. Texas A&M Men And Georgia Women Are Scholar Teams Of The Year To win this award your team must finish highly at NCAAs and have a 3.00 cumulative team GPA. Jessica Ennis-Hill And The USA Women’s 4 X 400 Squad Among Those Who Will Receive Re-Allocated Medals At London Worlds Kara Goucher and Jo Pavey will also receive their silver and bronze medals from the 2007 Worlds 10,000 after they originally finished 3rd and 4th. 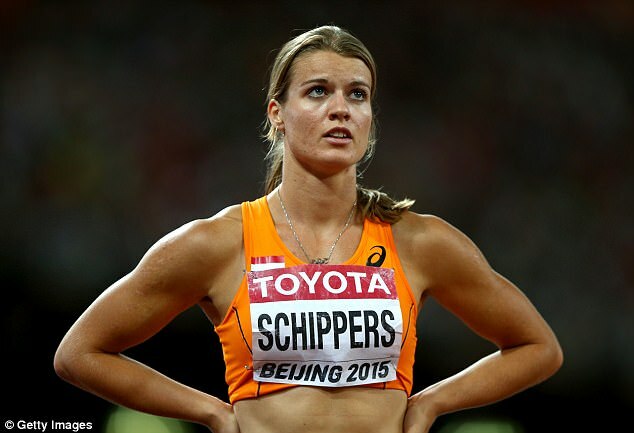 Russian Athletes Going To Worlds As Neutrals Will Still Be Paid By The Russian Government The “neutrals” can also win IAAF prize money for their placing at the championships, but the Russian national anthem will not be played if they win. LRC The Summer Of Webb: An Inside Look At Alan Webb’s Magical 2007 Season For a few months in 2007, American Alan Webb was the world’s best miler. Ten years later, we take a look back at Webb’s magical summer. 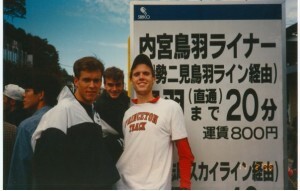 *LRC Feature: 10 years ago, Alan Webb was the greatest miler on the planet. An inside look at Webb’s magical summer. *10 Years later and Centro is STILL SLOWER then Webb??????!!!!!!! *“Summer of Webb” 2007- What a Joke! *Willis’ 3:29.66 = 3:46.22 mile. Sorry Alan. LRC David Rudisha Pulls Out Of Worlds With Injury The greatest race at the 2012 London Olympics was the men’s 800 final, won in a world record by David Rudisha. The fans won’t get a repeat this year as Rudisha is out with injury. Michael Saruni of UTEP was not entered as an alternate so no word officially if he can’t run yet. *Discuss: Rudisha announces a no show at London 2017 – quad injury. LRC Entry Lists For 2017 World Champs Now Available Shalane Flanagan and Kara Goucher are listed in the marathon but they are not entered. BBC Video: Mo Farah Talks About The Struggle Of Being Away From His Family For Half The Year Talking about training, Farah says he’s averaging 120 miles a week and has multiple guys on a bike to pace him for track workouts. Kenyan 400 Runner And Tulane University’s NCAA Qualifier Raymond Kibet Dreams Of Making The Final In London Kibet ran a 45.21 PR two months ago and says he wants to break 44 seconds in London. Conseslus Kipruto Says He’s Been Back Training Well For London After Pulling Out Of Rabat DL With An Ankle Injury Kipruto really wants to win his first world title after finishing with silver in 2013 and 2015. IAAF: Athletics Integrity Unit And UK Athletics Unveil Robust Anti-Doping Program For Worlds 600 blood samples and 600 urine tests will be conducted in London. Ben Blankenship (4:05) And Emily Lipari (4:35) Take GNC Live Well Liberty Mile Titles Blankenship won a close race over Kyle Merber as Lipari beat out Lauren Johnson. Athletics Weekly England Championships Recap Former Worlds silver medalist Hannah England took the 1,500 in 4:17. 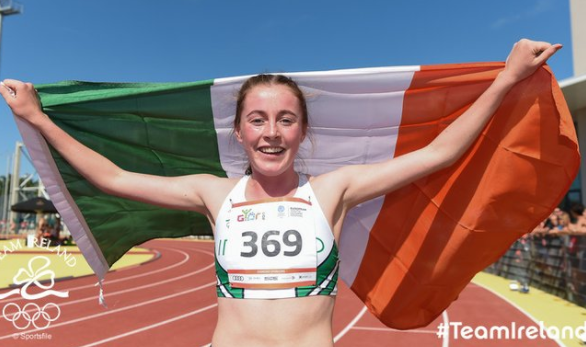 Ireland’s 16-Year-Old Sarah Healy Destroys The Field by 3+ Seconds To Win Gold At European Youth Olympics We hope to see her in the NCAA. Anita Wlodarczyk Just Misses Her Own World Record Of 82.98 With 82.87 Heave In Poland. She had a ridiculous 5 throws over 80 meters. Piotr Malachowski won the discus with a SB of 67.68m. Jenny Simpson Looking Forward To “Getting Some Personal Redemption” At The London Olympic Stadium She went out in the semis at the 2012 London Games, but is hoping to be on the podium for London 2017. Interesting: Running Form Analyst Jae Gruenke Takes A Deeper Look At The Recent NY Times Article On Usain Bolt’s Unusually Asymmetrical Stride Gruenke says that the asymmetry found in Bolt is actually extremely common in distance runners, including all-time greats like Eliud Kipchoge. IAAF: Largest Ever Biomechanics Research Project In Athletics To Be Undertaken At London 2017 A team of 41 people will use high speed cameras and video to analyze athlete biomechanics across 17 events (including the steeplechase, 10,000 and marathon). 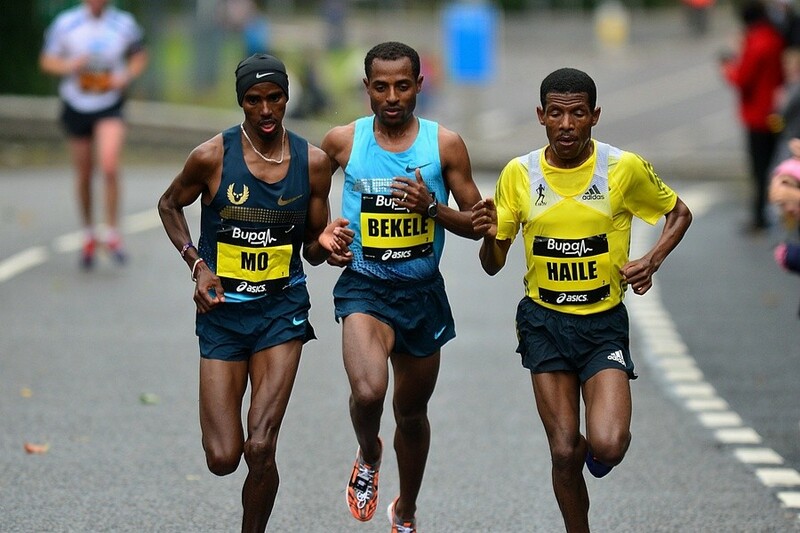 MB: Ethiopian steepler Chala Beyo gets screwed over by federation and left of WC team – Punches coach and gets banned for 2 years Beyo was third at the Ethiopian Trials and is the third-fastest Ethiopian on the year but was left off their Worlds team. UTEP’s Michael Saruni Back In Kenya Pre-Worlds Training Camp After Getting Kicked Out For Three Days Saruni doesn’t know what event he’s running, but one report said he would run in the 4 x 400 after being cut from the 800 squad. 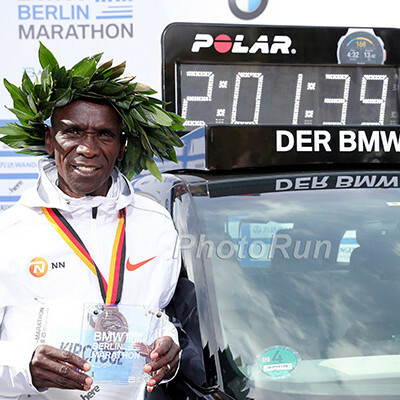 *Kenyan Journalist Says The “Bright Side” Of The AK Selection Controversy Is That Kenya Has So Many Good 800 Runners To Choose From He writes, “After all, it doesn’t really matter who wins the 800m title … as long as he is Kenyan,” but we think the athletes, whose livelihood depends on running, would disagree. MB: 16-Year-Old Sub-4 Miler Jakob Ingebrigsten Added To Norway Team In The Steeplechase He ran 8:26 in his debut earlier this month and then won European U20 Champs. IAAF Extends Invitations To Four Additional USATF Throwers Who Didn’t Have The Standard They include Olympic hammer throwers Rudy Winkler and Kibwe Johnson. Former Villanova All-American Jordan Williamsz Among 14 More Australians Added To Worlds Squad 14 more got in thanks to the IAAF invitations to fill the fields. Hammer Throwers Anita Wlodarczyk And Pawel Fajdek Lead Poland Team For Worlds Reigning 800m silver medalist Adam Kszczot also returns. Mo Farah Confirms He’ll Race At The Great North Run Half Marathon Again In September Farah will try to win the race for a 4th consecutive time. Runner’s World Could Be Up For Sale Soon Rodale Inc., the company that owns Runner’s World, Men’s Health and other magazines, is considering selling the whole or parts of the company. Runner’s World: Six Times Athletes Came To Blows In Races If you have some time to kill, these are entertaining videos. Comedian And Actor Kevin Hart Is Running The NYC Marathon Hart has really gotten into running, commentating on Eliud Kipchoge‘s sub-2 attempt and running a bunch of races himself, but this will be his first marathon. IAAF World Championships History Lesson: Athens 1997 After barely making it into the meet, barely making the final and sitting in 6th place at the halfway mark Michael Johnson won 400m gold. 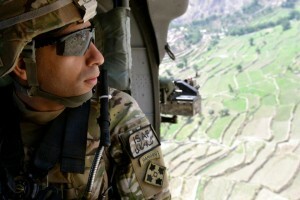 BBC Documentary: “The Heroes Of Super Saturday: Jess, Mo & Greg” For those with a UK IP address. Russian Olympic Committee Launches National Sports Journalism Competition Hajo Seppelt for the win? Rio 2016 Velodrome Damaged By Fire The building was struck by a small, hand-made hot-air balloon (which are common, although illegal, in Brazil). Rio’s Olympics One Year Later: The Good, The Bad And The Ugly The ugly refers to Rio’s still very polluted waterways and the multiple charges of corruption that have come out since the Games. Caster Will Have Company Dutee Chand Gets Invite To Run 100m Her PR of 11.30 is just off the 11.27 standard but she got in on the descending order list. 6 Years Ago, David Omoregie’s Father And Sister Died Within A Month Of Each Other; Now He’s Going To Worlds In The 110H He’s a big talent as he ran 13.24 at age 20. 1st 3 Nights At Worlds Will All Feature Medal Ceremonies For People Denied Medals Due To Doping One of them will go to Christine Ohuruogu, who missed a year for missing three drug tests in a year. Gesa Krause Gives Out Some Advice On How To Succeed As A Pro Runner She says you must have motivation. Had It Not Been For A “Bunch Of Idiots,” Filip Ingebrigtsen Says He Would Have Broken Norwegian Record In Monaco This article has a full translation of his quotes after Monaco. After Meeting Anti-Doping Deadline, Kenya Finalizes Its World Championships Team Michael Saruni has been left at home with the bogus excuse of “his form is wanting” and reigning 400H champ Nicholas Bett is out with injury. Justin Gatlin Believes Usain Bolt Could Make A Comeback After Retirement So do we. Katharina Heinig, Daughter Of 1988 Olympic Marathon Bronze Medalist Katrin Dörre-Heinig, Will Be Making Her WC Debut In London Katharina’s PR is 2:28:34. Unnamed Bahamas Athlete Reportedly Tests Positive For A Banned Steroid Apparently it’s one of the Bahamas World team members, so keep an eye out for a withdrawal “due to injury” before Worlds. 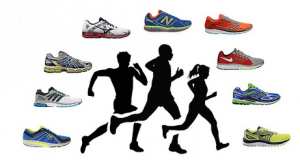 Runner’s World: How Do You Compare To This Survey Of Runners? 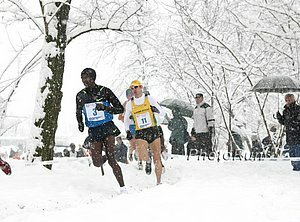 Believe it or not there are some truly masochistic runners (10%) who chose winter as their favorite season. Carrie Tollefson Podcast Q&A With Gabe Grunewald’s Husband, Justin Grunewald Justin, a marathoner and doctor, talks about how he met his wife, her battle with cancer, and his own racing goals.